Babies and young children learn about the world through their senses. 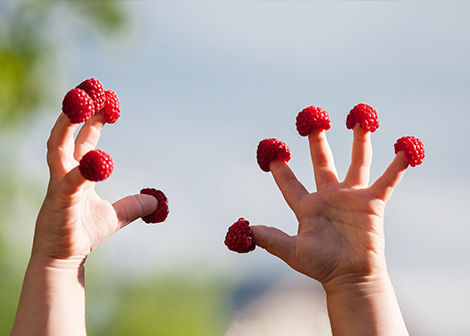 Our senses allow us to taste, touch, smell, hear, see and move. Before your baby was born, they were in an environment in which the temperature was kept constant, it wasn’t too bright, and sounds were muffled. Coming into the world can be overwhelming for your baby. They need you to help them understand the world around them through slow exposure to new experiences. Your baby will enjoy looking at contrasting colours and interesting patterns. You may have already noticed that your baby is drawn to stripy clothing and is intrigued by the shadows as they move on the wall. It won’t take long for your baby to recognize your face and soon you will become their favourite toy. Your baby will watch people if they are in their line of sight and even turn their head to watch them as they move. Your baby also learns about the world using their sense of smell. Remember that your baby’s sense of smell is much more sensitive than an adults. They will enjoy smells that are mild and make them feel calm (for example, the way you smell, or the smell of the soap in their bath). Your baby will learn very quickly what you smell like and this smell will make them feel safe. Your baby has been listening to your voice for a while now. They started hearing sounds when they were only 20 weeks old in-utero and were able to recognise your voice at birth. 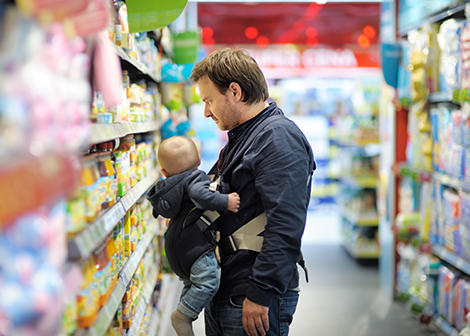 Talk to your baby all the time, telling them what you are doing and commenting on what you can see as this helps them learn about the world around them. It also helps them understand what words mean. Your baby will listen to the rhythm and tone of your voice and find your voice reassuring and comforting. Copy the sounds that your baby makes as this tells them, “I’m listening to you and what you have to say is important”. Your baby has been tasting for some time now. When they were in-utero they were swallowing and tasting the amniotic fluid which changed in flavour as you ate different foods. 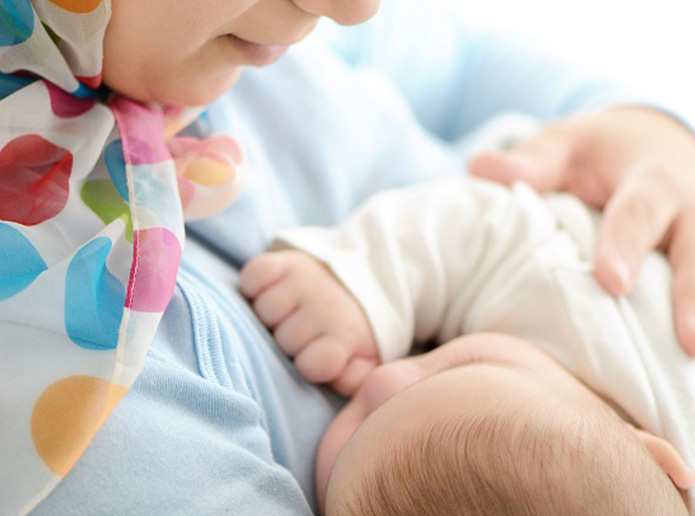 Your baby’s first food will be breast or formula milk and they will soon associate this taste with feeling comfortable and safe. 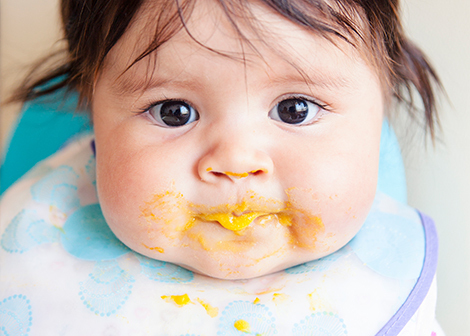 As your baby grows and they start eating solid foods they will experience new taste sensations. Remember that your baby has many more taste buds than an adult which makes them very sensitive to flavours. Your baby loves your touch. Through this touch they feel comforted and safe. You will even find that holding your baby and applying firm but gentle pressure will calm them when they are upset or overtired. Your baby will also like to feel different sensations on their skin such as water at bath time or your hands as you gentle massage them. As they are able to use their hands they will enjoy reaching out and feeling toys and objects of different textures. Your baby has been moving with you since the moment they were conceived. You may find that your new baby loves to be held and gently rocked. This reminds them of the movement when they were in-utero. As your baby grows they will enjoy being held in a variety of positions. This helps them learn about the world around them and begins to develop their very early balance and spatial awareness skills. Your baby will spend lots of time on their back sleeping so when they are awake, it is important that they have plenty of time on their tummy. As your baby grows, their reflexes will become more integrated into their movements and most will disappear. Your baby’s movements will initially be big swipes of the arms and kicks of the legs. As they develop they will have more control over how they move.